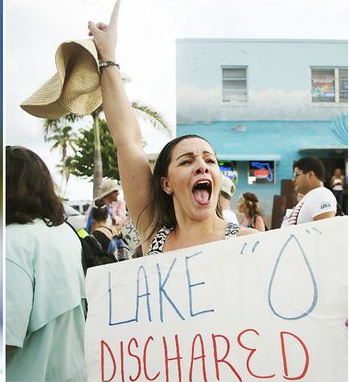 “Say No to Lake O,” this is one of the rallying cries of the River Kidz. If only it were as easy as just saying “no.” According my numbers-man, my brother Todd, the “St Lucie River has taken in more than 86+ billion gallons this year, enough to put Stuart under 111 feet of water. This is only enough to take 6 inches off of the lake.” The west coast is taking most of the lake level reducing water and of course they are screaming “say no to Lake O” too. Eco-Voice, present west coast advocacy, 10/17. I do believe the authorities are getting the message, though…so keep screaming. SAY NO TO LAKE O! For everyone! I think our water culture is changing, and the government is being forced/inspired so they can get reelected and respected…. to improve our water/rivers situation. Just yesterday, I got an email about a woman whose Bascom Palmer doctor notes she has an eye infection in her cornea very possibly from “walking the bridge,” repeatedly over the St Lucie River. These health issues are real. More and more people are realizing this. Lake O and other canal unfiltered pollution must halt. 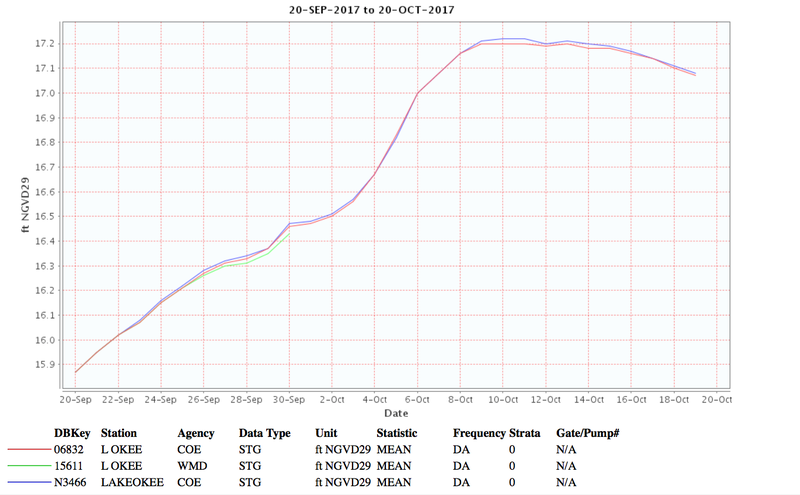 So it looks like the Lake Okeechobee is going down, but we are still going to get releases for while. (See the info below on my brother’s site.) Things are still bad, but they are getting better. 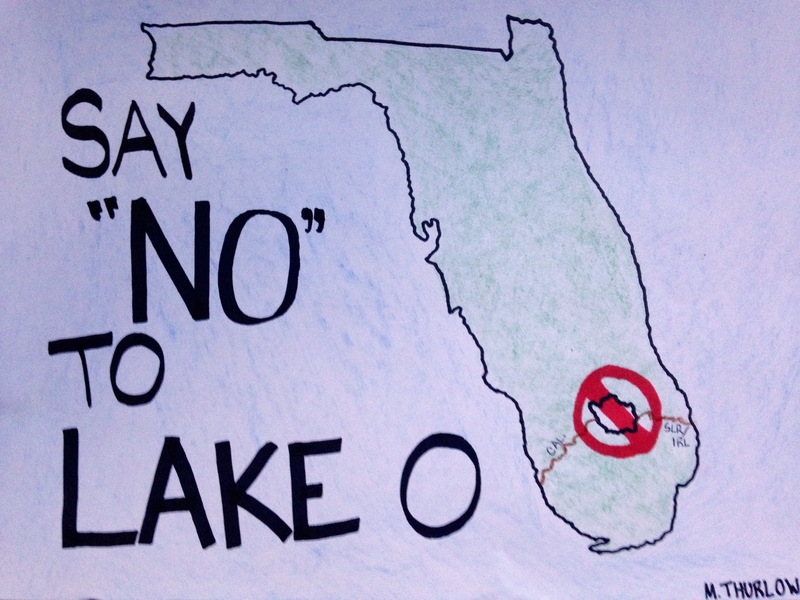 ~Never stop screaming “Say No to Lake O,” we owe it to ourselves, and to the future. Hydro. Lake is going down. 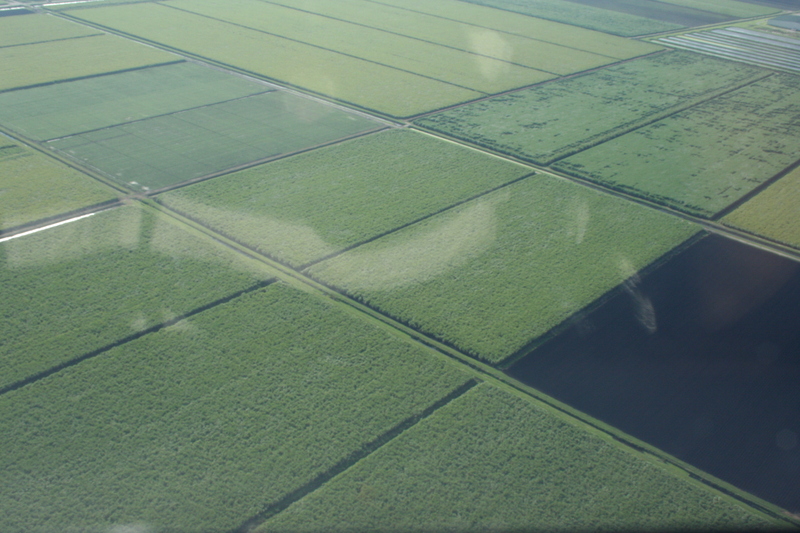 It’s hard believe that we have taken 86+ billion gallons this year, enough to put Stuart under 111 feet of water. But this is only enough to take 6 inches off of the lake. The west coast is taking most of the lake level reducing water. Click on the “Terra/Aqua/Suomi Last 7 days icon”. 17 Martin L. King, Jr. Blvd. I work at Martin North. We had a heightened incident of stroke and allergic reactions in chem patients at the height of the 2016 bloom. Dear Katie, thank you so much for writing and for speaking out. This is our best ammunition. I am grateful! Every day I exsplain details to fishermen and I believe the magnitude of what has been done to their fishing will eventually be known as fishing inproves. The person there who puts 1 bucket of sea shells in the lagoon will have done more to help the situation than ALL the protesting. Winter is comeing with northeasters so I am preparing southeast “pockets” in lagoon to churn shells. Elected or not, you do not know how much I despise a state government that would do what has been done to the citizens of Florida. I am on a shoe string budget and am about to go back to work. Our lieing monster state government now has 300 million to finish killing everything off. How can I compete.with this? Our lead scientest here is Duane Defreze. At the lagoon house I remember him saying his biggest concern was the nutriants going into the lagoon. I am sure if information is in a book he knows about it—-but what if information is not in a book? Calcium is a alkali metal. It has a high ph. The organic nutriants in our lagoon are acidic and full of carbondioxide. Calcium sticks to –and reacts with these organic nutriants releaseing “microbubbles” and making them boyant. Heat makes the chemical reaction speed up in the summer and the menhadden filter out the plankton that feeds on boyant nutriants. In the winter the chemical reaction slows down and all this material sinks to the bottom . The shimp come in from the ocean to feed on the bottom as the menhadden go out to sea. All summer long the calcium that has made the nutriants boyant can now float out to sea where the coapods feed on it. In a few weeks the water in the lagoon will get cold and all the sudden it will clear up—-now you know.